When lights fail, so do critical operations in 24/7 facilities. This can mean a huge loss in time, productivity, and—of course—money. This is something your client used to think about. You know, before you introduced them to us. Great move, by the way. All of our LED lighting is third-party certified by companies like UL and ETL, which means everything’s guaranteed to last years longer than traditional technologies. Relamping? A thing of the past. Your clients will not only save buckets of money, but they’ll also no longer need to worry about stocking replacement inventory, freeing up valuable space. LED lighting casts crisp and even lighting on inventory shelves and exterior pathways, eliminating dark spots, ensuring that loading bays and docks continue without any hiccups, and allowing security to better monitor incoming traffic. Meanwhile, in back-of-house offices, LED technology increases productivity, while reducing energy costs up to 85%. You Might want to switch to a newer browser such as Chrome or Firefox if you want to see this page in its true glory. 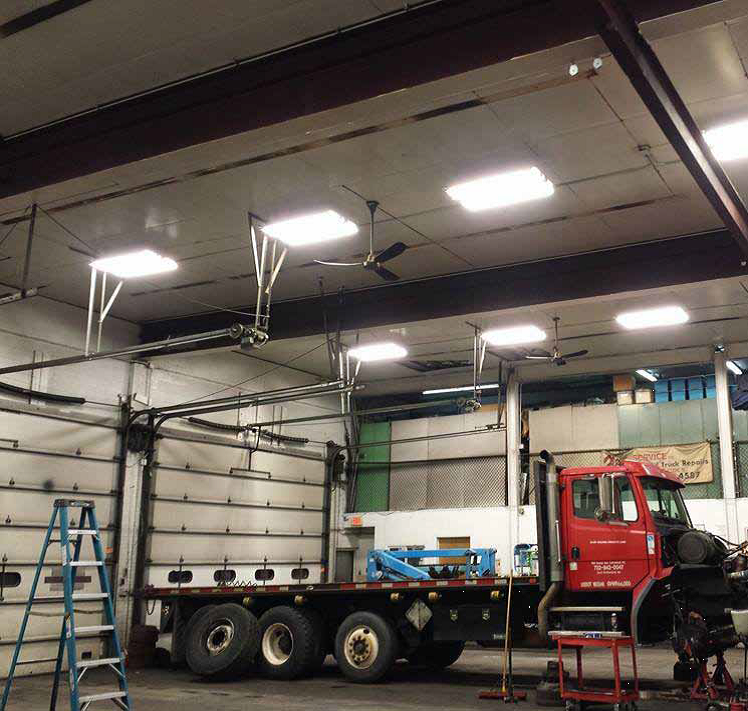 Featuring over 100,000 hours of maintenance-free operation, e-conolight LED high bays offer uniform lighting that emits no heat, which means less cooling costs for a facility. Install these in any large, open area with high ceilings. Using 50% less energy, LED wall packs enhance the safety of your warehouse/industrial facility perimeter by offering directional, crisp light along your walkways. They also keep operations running smoothly by increasing visibility at loading bays and docks. LED area lighting provides evenly distributed light across your parking lot, increasing the safety of those underneath them. Brighter light helps security staff monitor incoming traffic, plus read license plates or any forms of identification. Maintenance-free and easy to install in your back-of-house offices, e-conolight LED flat panels provide smooth and even light from inside a low-profile design. Productivity increases, while energy costs plummet by as much as 80%. Improve your facility scheduling, planning, and general operations management with LED Downlights. Ideal for back-of-house offices and meeting rooms, downlights emit crisp white light that reduces eye strain and headaches, enhancing productivity and reducing energy costs by as much as 85%. With over 100,000 hours of maintenance-free operation, e-conolight LED high bays ensure 24/7 operations don’t stop, by eliminating the need for relamping. Uniform light levels make it easy to see inventory shelves, from top to bottom.